Made with a Polydura cover and side spiral wire-o binding. 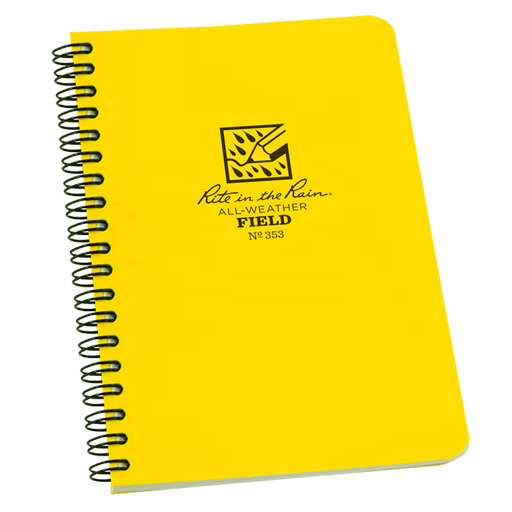 The 4 5/8" x 7" size books also have Field patterns available with numbered pages. 64 pages (32 sheets).